Defense attorneys called four witnesses Wednesday in the retrial of four Bunkerville standoff defendants, but jurors did not hear the testimony. With the jury box empty, defense attorneys called four witnesses Wednesday in the retrial of four Bunkerville standoff defendants. U.S. District Judge Gloria Navarro allowed three men and one woman, each of whom attended the April 2014 protest, to give proffer statements, or a preview of what they might tell a jury. But the judge ruled that jurors should not hear their testimony because none of them offered evidence of self-defense the men on trial hoped to claim. All of the witnesses testified via Skype. One of the witnesses, Utah cattle rancher Derrel Spencer, said he felt “scared, nervous” when he saw weapons of Bureau of Land Management agents pointed in his direction. He had driven about three hours to the rural eastern Nevada town in support of rancher Cliven Bundy, who prosecutors allege conspired to thwart the federal government’s roundup of roughly 1,000 cows from public land. But Spencer also said he was on horseback when he heard authorities tell protesters to “back up or stand down,” though he continued to move forward. Spencer said he was unarmed but noticed that other protesters had weapons. Defense attorneys wanted Spencer’s statement, along with the others, recorded in case of a potential appeal. The trial resumes Thursday morning, when a private investigator is expected to take the witness stand for the defense. At least one of the defendants could testify, as well. On trial are Eric Parker, Steven Stewart, Scott Drexel and Ricky Lovelien. The four men are facing a second trial after members of another jury declared in April that they were deadlocked on all counts against them. 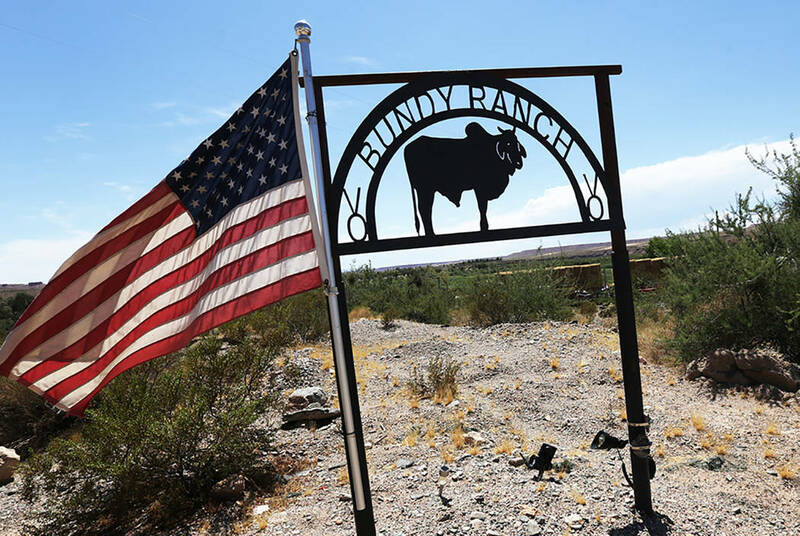 Prosecutors have said the men traveled to Bunkerville to join Bundy, following a decadeslong dispute with the BLM over grazing rights. Defense attorneys are prohibited from referencing constitutional rights to freely assemble and to bear arms, or from mentioning alleged misconduct or excessive force by law enforcement. The defendants are charged as “gunmen” and are accused of supplying the force behind Bundy’s armed stand against the federal government.